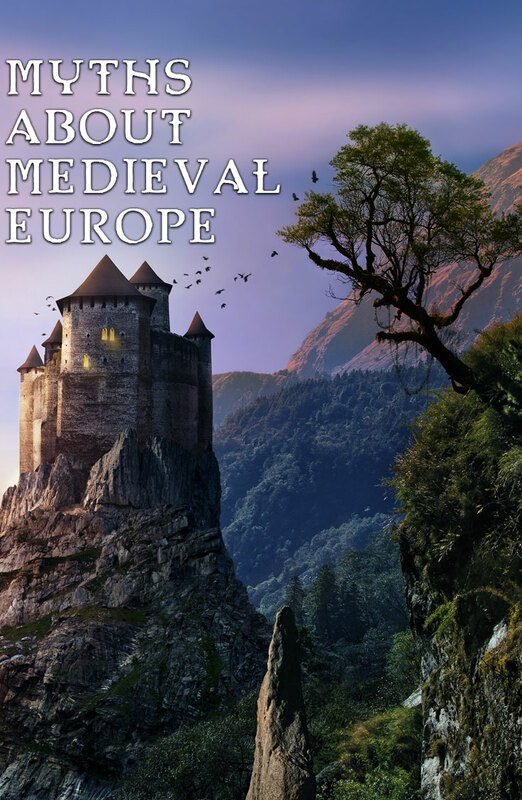 Fantasy novels are often set in a Medieval Europe-inspired location. Even I tend to default to that location because I come across that more often when reading fantasy or even watching fantasy movies. I need to read more fantasy book set in non-Western locations. Months ago, I read Children of Blood and Bone by Tomi Adeyemi, a fantasy book set in a West-African inspired location. I loved it. I need to read more books like that. Doing research on non-western myths and legend would go a long way in helping me change my default setting. I like a Medieval Europe-inspired book but there is one thing it that bugs me. When someone asks why are women in this book treated this way or why the book doesn't have any people of color, readers/authors often say it wouldn't be realistic. "That's just how it was back then." You can write your book however you want. It's your book. But, Medieval Europe as portrayed in fantasy books, in general, isn't realistic. "Women in the Middle Ages could inherit, buy and sell property, run a business, and had many legal rights (in fact some of these rights would diminish in the Early Modern Period). The idea that they were virtual slaves to their husbands is also false." "Most knights were young men with high testosterone levels, and when they were not fighting in a war, they were wreaking havoc on the local population. In fact, towards the end of the 11th century, local lords used these knights to fight over land, which resulted in the slaughtering of entire villages. When the church grew tired of these conflicts, they commanded the First Crusade to compel these young men towards the Middle East, where they massacred the entire population of Jerusalem." Now that is fascinating. I'm adding that to my list of things to research further. It would be interesting reading a story about knights like these. They aren't terrible because of a corrupt lord or some dark spell. That's just how they are and people, even kings just had to deal with it. "The online activist "MedievalPOC" (Medieval People of Color) is pushing back against the myth that everyone in the medieval past was white. They've been educating the public about race in European history since 2012 when they started Tumblr and Twitter accounts with a simple mission: Show the presence of people of color in pre-modern European art." On Twitter @medievalpoc, share's artwork depicting, often well dressed, people of color in Europen settings. "True, the Middle Ages contained violence, repression and terror. But those years also saw the creation of artistic marvels, the birth of the university, breakthroughs in the natural sciences and literature that still moves the soul. Modernity is no different." "In Medieval England, if you combined a city inn with an alehouse, you'd probably get something resembling that fantasy inn. There were inns where you could rent a bed (or, more likely, a space in a bed), and these inns did have halls for eating and drinking. But these were not public houses; innkeepers were generally permitted to serve food and drink only to their guests. And, Mortimer points out, you would likely find a single room with several beds, beds that could fit up to three people. It was only in the most upscale inns that you'd find chambers with just one or two beds." Sounds like a Medieval version of a hostel. This article is from i09. I couldn't find any bio on the author to vet their credentials. I included this because of the vast amount of sources the author added and links to how we could access those sources. I'll be doing more research on these myths. I may get a few story ideas from my finding. I do want to dive deeper into non-European cultures as well. Last year there was an exhibit here on medieval Europe. It was certainly eye opening.